Many aspects of Japanese culture often relate back to a common theme: how to express, get closer to, and better understand nature. An example is the concept of zazen (better known abroad as “zen”), and the practice of kintsugi, where artisans piece together shattered pottery and accentuate the cracks with metal decorations, such as gold, to celebrate mistakes as a part of life and nature. Japan’s emphasis on the natural form also has a significant influence on its gardens. While the idea of gardens was originally brought to Japan from China, over time it has evolved into an irreplaceable aspect of Japanese culture. In this article we would like to introduce the Japanese garden – its purpose, important elements, and relationship to Japanese Tea Ceremony, “cha no yu” (茶の湯). The idea of Japanese gardens began to spread during the Asuka period (6th to 7th century), during which Japan widely adopted Chinese culture and Buddhism. Japanese merchants were heavily influenced and inspired by these new ideas, and so brought back many aspects of Chinese culture to Japan. Over the centuries, Japanese gardens developed and evolved alongside the changing times. Thus, the characteristics of each historical era are also reflected in the various types of gardens. Japan’s unique geographical position as an island nation, as well as the Policy of Isolation during the Edo period, Sakoku (鎖国), also influenced the development of Japanese gardening culture. Japanese gardens are broadly categorized as landscape gardens, but each garden can be further distinguished by its style. While there are many styles of Japanese gardening, here, we will introduce three. 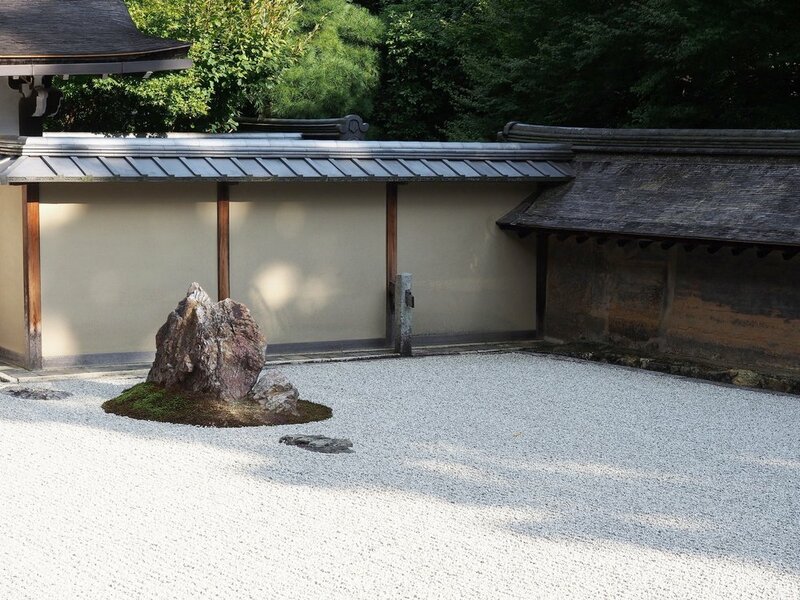 One style is “karesansui” (枯山水), used to describe Japanese rock gardens or zen gardens. Karesansui gardens are used for meditation purposes, and in them, sand often replaces water as the main element. Japanese tea ceremonies take place in “roji” (露地) gardens, which are simpler gardens with a teahouse. “Kairyu-shiki teien” can be directly translated as “stroll garden,” and are gardens in which visitors follow a path to enjoy the different sceneries while following the path. Water – There is usually a water element in major Japanese gardens, often a stream or pond. Water is the origin of all life, and in Japanese culture, it represents motherhood. Some believe this is one of the reasons why many ponds (and bodies of water) in Japanese gardens take a curved shape. Koi fish (Japanese carp) can often be found in the waters of a garden. Koi fish are the national fish of Japan, and symbolize qualities such as courage, patience, prosperity, and success. Rocks and Sand – Historically, Japanese people have believed that the gods exist in every form of nature, even in stone. Large stones were believed to be especially spiritual containing the ability to provide peace of mind. Perhaps for this reason, large stones are traditionally used as Japanese grave markers. Vegetation - Vegetation is also an element that cannot be forgotten in the Japanese garden. Vegetation is a symbol of life, and is considered a living creature in the Japanese culture. Pine trees represent long life, and are often seen in Japanese gardens. Human made objects - Human-made objects, “keibutsu” always exist in Japanese gardens. Surrounded by other natural elements, it represents the beauty of the limitation of life, and thus helps us appreciate nature. Below are three gardens known as “The Three Great Gardens of Japan,” and are gardens those interested in this unique culture will not want to miss! Kenroku-en （兼六園）- Located next to the Kanazawa Castle in Kanazawa City, capital of Ishikawa Prefecture, this garden was maintained by the Maeda family. Kenroku-en is known for its large artificial pond and many flowering trees to match the changing seasons. 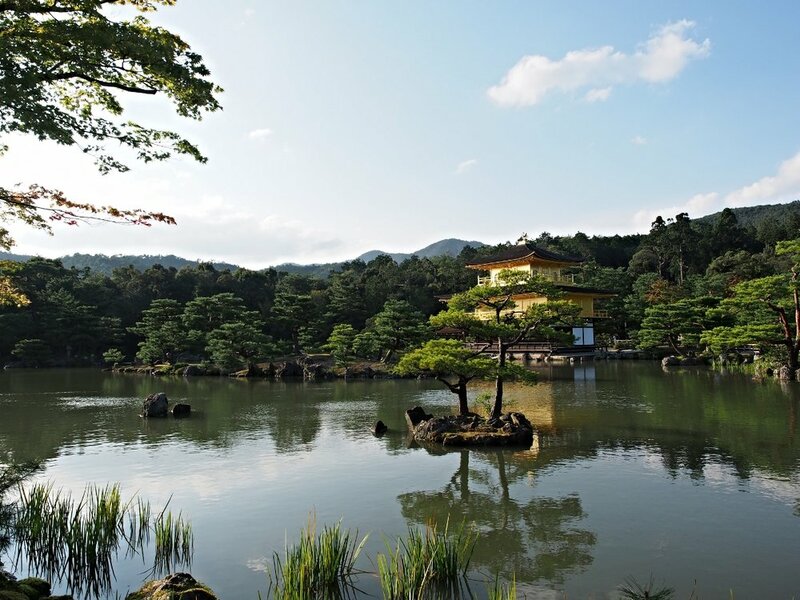 The name “Kenroku-en” means “Garden of the Six Sublimities” and refers to the six factors of a perfect garden: spaciousness, tranquility, artifice, antiquity, abundance of water, and extensive view. Koraku-en （後楽園）Located in Okayama Prefecture and completed in 1700, Koraku-en appears in many paintings from the Edo Period. The garden was built by order of Ikeda Tsunamasu, a feudal lord, in 1687, and was only occasionally open to the public. The Okayama Castle was incorporated in the landscape as “borrowed scenery,” and can still be seen clearly from the garden today. Kairaku-en （偕楽園）Located in Mito city, capital of Ibaraki prefecture, and opened approximately 1841, this garden was not only built to be enjoyed by the ruling lord, but was also open to the public during that time. Kairaku-en is known for having over three thousand plum trees, a bamboo grove, cedar woods, and a two-story Japanese-style building called the Kobuntei（好文亭）. Japanese tea ceremony is strongly connected to the Japanese garden. As mentioned above, the main feature of the roji style gardens are teahouses. 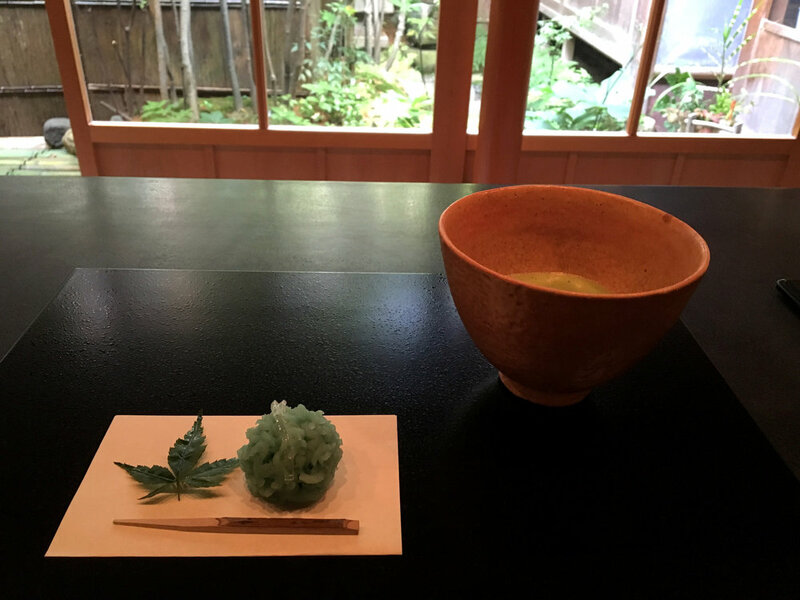 Japanese Tea Ceremony is also called “cha-no-yu” (茶の湯) or “sado”(茶道)and is a cultural activity that involves the preparation and presentation of tea (matcha). Cha-no-yu has a deeper underlining meaning of hospitality and kata (方),the Japanese ideology of form. The way of performing each step in the ceremony is considered a form of art, thus making the beauty of the ceremony the experience itself. See if you can distinguish the various styles and recognize the elements of Japanese gardens yourself through TOKI's garden tours! Or take part in our Traditional Tea Ceremony experience and enjoy the scenery of a beautiful cultural heritage house garden over a cup of fresh matcha tea. Experience traditional Japanese gardens with Japan's oldest gardening family. Intimate, restorative and relaxing, zazen will provide its practitioners with a unique, peaceful respite from the demands of daily life.